There is a rapidly spreading firestorm surrounding the video of Dr Deborah Nucatola, the medical director of Planned Parenthood. The video shows her enjoying her salad and red wine as she describes the harvesting of aborted pre-born human organs and body parts for sale to bio-medical companies. What is perhaps even more disturbing, are some of the responses from those that serve as apologist for Planned Parenthood. As someone who is squeamish, it was extremely difficult for me to listen to Nucatola talk about extracting liver, heart, and other parts to be donated to medical research…But people who work in medicine for a living do, in fact, become inured to the gore in a way that can seem strange to those of us who aren’t regularly exposed to it. She also thought she was speaking to people in her profession who would be similarly accustomed to this sort of thing. 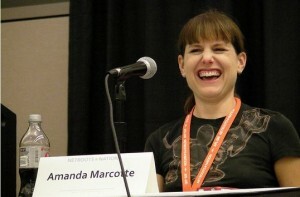 Marcotte pats the general public on the head (who are rightly horrified and sickened by the video) and assures us that you have to understand the context. Unless you are accustomed to the gore associated with an abortion procedure, you could easily misunderstand Dr Nucatola’s seemingly cavalier description of her trade. It is one thing to be squeamish about graphic medical procedures. It is quite another to be so detached, as Dr Nucatola clearly is, from the reality of what this abortion doctor does for a living. Nucatola describes how in a mid and later term abortion, the unborn baby is decapitated and dismembered without anesthesia, at times with the intent of delivering the torso intact so you can harvest the organs. This is not a matter of a natural discomfort with a graphic medical procedure. We are travelling here in much deeper and darker waters. Psychiatrist Robert Jay Lifton interviewed 28 former Nazi doctors, including five who worked in the death camps; and he also interviewed about 80 Auschwitz survivors, including many who worked as prisoner-doctors along with a German medical staff. 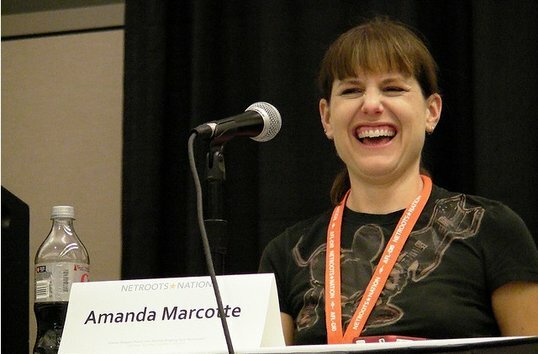 Marcotte tells us it’s ok to extract the organs or body parts from unborn boys and girls because it’s what the parent wants…they are going to die anyway so might as well derive some benefit, right? Marcotte: We also shouldn’t deny women who want to donate fetal or embryonic remains to science any more than we would deny someone who wants to be an organ donor, even though the latter is also quite gross to ponder. Of course she fails to mention that organ donors volunteer to offer their body to science after natural death. You can’t decide to euthanize your elderly relative and say it’s Ok because you are donating their organs to science. Abortion is gross, no doubt about it. It becomes grosser the later in a pregnancy it gets. But so is heart surgery. So is childbirth, for that matter. We don’t deny people who need help in those cases because the help is gross. Nor should we deny people that help when it comes to needing abortion. The bodies of human beings were stacked like cords of wood…The stack was about five feet high, maybe a little more; I could see over the top. They extended down the hill, only a slight hill, for fifty to seventy-five feet. Human bodies neatly stacked, naked, ready for disposal. The arms and legs were neatly arranged, but an occasional limb dangled oddly. The bodies we could see were all face up. There was an aisle, then another stack, and another aisle, and more stacks. The Lord only knows how many there were. – Liberation of Buchenwald by Harry J. Herder, Jr. The Nazi doctors were doing nothing illegal in Nazi Germany. The systemic destruction of the Jewish people, the mentally disabled and other enemies of the state was the law of the land. Abortion became the law of the land in 1973. The Shockwaves of that seismic event continue to impact the unborn, and the parents, family, friends, and all those intimately connected to those procedures. But the publicly sanctioned practice of fetal killing has an even darker fruit; the corruption of the mind, heart and soul of those that become facilitators and apologists for this practice. The video of Dr Nucatola reveals that just as with the Nazi doctors, these normal men and women learn to divorce the gruesome reality of their medical practice from their everyday life and activities. Dr Nucatorla enjoys a nice lunch while discussing ripping a living unborn human fetus apart (without anesthesia), safely removing the body parts, and harvesting the little boy or girl’s organs. Please pray for Dr Nucatola. Pray that the firestorm around this video leads her to repentance and healing. Pray that she comes to see how abortion has so deeply twisted her as a physician and as a human being. This entry was posted on Wednesday, July 15th, 2015 at 7:52 pm	and is filed under Uncategorized. You can follow any responses to this entry through the RSS 2.0 feed. You can leave a response, or trackback from your own site.